Is it a bad omen? committee. In this case it came before the full council. Two more attempts to table the legislation failed – the first by a single vote margin. The second attempt failed with10 wanting to table the bill and 13 voting to continue. In the end, Speaker Seth Damon’s committee assignments were approved by a 14-9 tally. But some delegates were still not happy. Shortly after replacing LoRenzo Bates as speaker, Damon urged the delegates to caucus by agencies to make committee recommendations. That, according to Delegate Otto Tso was a bunch of “baloney.” Damon’s assignments did not match caucus recommendations, Tso said. After senior delegate Nelson BeGaye was named to the Health, Education and Human Services Committee, another returning delegate – Edmund Yazzie – wondered if Damon took seniority into consideration when making the assignments. Delegate Eugenia Charles-Newton questioned how Damon made his picks for the Budget & Finance Committee. Members of that committee should have some financial knowledge, she noted. Damon defended his choices, noting that not everyone could serve on the B & F and Resources and Development committees. Delegates were also free to sponsor legislation to other committees, Damon said. Council approved Damon’s bill with only one alteration. 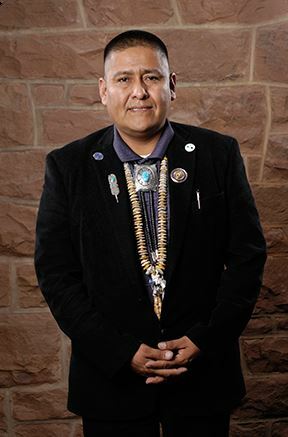 Tso traded his spot on the Health, Education and Human Services Committee to Delegate Paul Begay for the latter’s seat on the Law & Order Committee. · Budget & Finance: Amber Kanazbah Crotty, Jamie Henio, Jimmy Yellowhair, Nathaniel Brown and Raymond Smith, Jr.
· Resources & Development: Mark Freeland, Rickie Nez, Wilson Stewart, Kee Allen Begay, Jr. , Thomas Walker, Jr. and Herman Daniels Jr.
· Health, Education and Human Services; Paul Begay, Charlaine Tso, Pernell Halona, Daniel Tso, Nelson BeGaye and Edison Wauneka. · Law & Order: Eugenia Charles-Newton, Edmund Yazzie, Vince James, Otto Tso and Eugene Tso.